Serves as a compendium of reviews of a number of domain-specific areas, such as acting, dance, expressive arts, film, food, music, religion, science, sports, theater, and writing. Creativity and education are examined in articles about thought processes, such as developmental trends in creative abilities and potentials, the enhancement of creativity, intelligence, knowledge, play, prodigies, programs and courses, talent and teaching creativity. Cognitive aspects of creativity can be investigated in articles about altered and transitional states, analogies, attention, cognitive style, divergent thinking, flow and optimal experience, metacognition, metaphors, problem-finding, problem-solving, and remote associates. Covers business and organizational creativity in articles about advertising with art, creative visuals, business/management, creativity coaching, creativity exercises, entrepreneurship, group dynamics, innovation, leadership, organizational culture, organizational development, teams, and training, among others. Explicitly examines the complex interrelationship between society and creativity in articles about awards, conformity and conventionality, the creative sector and class of society, cultural diversity, the dark side of creativity, East vs. West, networking, social psychology, war, zeitgeist, and others. Personal and interpersonal creativity is discussed in articles relating to collaboration, family, life stages, mentors, networking, personal creativity and self-actualization. Focuses on scientific information about creativity, there are also articles that discuss brain and neuropsychology, concepts of creativity, definitions of creativity, expertise, longitudinal studies, researching art, artists and art audiences, research methods, phenomenology research and qualitative research. 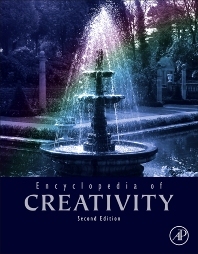 When the first edition of The Encyclopedia of Creativity was published in 1999, creativity research had become broad and important enough to be treated as a legitimate field of scientific study. Now creativity research is being conducted throughout the world in many different disciplines including psychology, arts and humanities, health sciences, education, and business. This global interest is reflected in the number of authors throughout the world who have contributed to this edition. 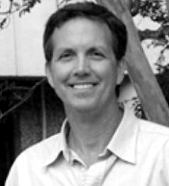 STEVEN R. PRITZKER, Ph.D., is Professor of Psychology at Saybrook University in San Francisco. Psychological Association’s Division 10 (Psychology of Aesthetics, Creativity, and The Arts). He serves on the editorial board of the APA journal Psychology of Aesthetics, Creativity and The Arts. "...an impressive work by any standard. We warmly recommend this tour de force publication... a must for every university library..."
"The Encyclopedia of Creativity is a highly impressive, collaborative achievement... Unprecedented in breadth and scope... a resounding success..."
"...this encyclopedia represents a useful effort to bring together research on creativity and will serve undergraduate and graduate students well."